Hometown: Mount Holly, New Jersey, U.S.
Died: May 9, 2005 in Operation Iraqi Freedom. 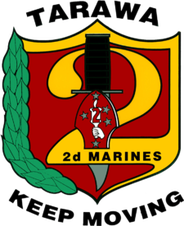 Unit: Marines, 2nd Marine Regiment, 2nd Marine Division, 2nd Marine Expeditionary Force, Camp Lejeune, NC. Marine Staff Sgt. 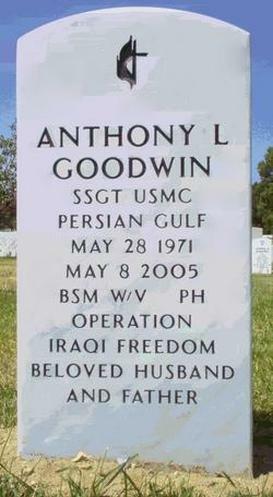 Anthony L. Goodwin, 33, of Mount Holly, N.J.; assigned to the 2nd Marine Regiment, 2nd Marine Division, II Marine Expeditionary Force, Camp Lejeune, N.C.; killed May 9 by enemy small-arms fire while conducting combat operations in the vicinity of Qa'im, Iraq. He joined the Marine Corps in September 1989 and had received more than two dozen medals and commendations during his time in the service. He was a veteran of the first Gulf War and had deployed to Iraq as part of the II Marine Expeditionary Force from Camp Lejeune, N.C. His wife, Kimberly, daughter, Alyssa and son, Oury. He was 33. ​Marine Corps Staff Sgt. Anthony L. Goodwin fought to go back to Iraq, family members said Thursday. "His life was his service," said his father, Paul Cheney. "He felt the people of Iraq needed him. I'm proud to have him as a son." The highly decorated Goodwin, a former Westampton Township resident, was on his second tour of duty in Iraq when he was killed by enemy small-arms fire Monday. He was on a combat mission to disrupt terrorist activities near Al Qaim, Marine Corps officials said. He had arrived in February for a 14-month deployment. Cheney said Goodwin's funeral will be Monday in North Carolina, where he was stationed at Camp Lejeune and lived with his wife, Kimberly; daughter, Alyssa, 15, and son, Oury, 5. He will buried in Arlington National Cemetery in Virginia later in the week and he will be awarded the Purple Heart, said his sister-in-law, Laurie Goodwin. "He was a Marine through and through," said Laurie Goodwin, 34, inside her Florence Township home. Goodwin, 33, was born in Massachusetts and lived in San Antonio with his father before coming to Westampton Township to live with his mother and stepfather in a brick split-level on Holly Lane. Laurie Goodwin said Anthony and his brother Gregory, 32, both attended Rancocas Valley High School but Anthony returned to Texas to finish high school. Mathilde Vengen, 67, lives next door to Anthony Goodwin's former home on Holly Lane and said she saw two Marines at the home earlier this week. "I knew right away," said Vengen. "I told my daughter that it has to be Tony." A Blue Star banner, which signifies a family member is serving in the Armed Forces, hung in the picture window of Goodwin's former residence. Vengen said Goodwin's mother had gone to North Carolina to visit her daughter-in-law and grandchildren before her son's death. Goodwin enlisted in the Marine Corps in 1989 and served in Operation Desert Shield and Operation Desert Storm. After the Gulf War, he served in a number locations, including Angola and the Balkans, and he served as a trainer and instructor. 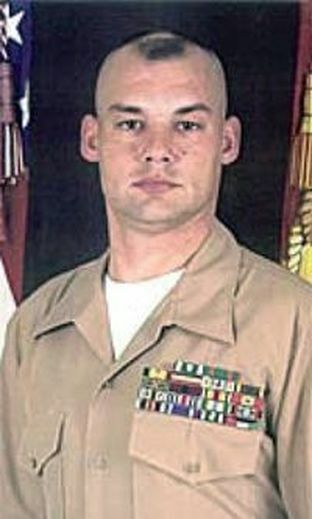 In January 2003, Goodwin reported to the 1st Battalion, 2nd Marine Division as a platoon sergeant, shortly before deployment with the II Marine Expeditionary Force for Operation Iraqi Freedom. In March 2004, he was moved to 2nd Marine Regimental Training Center to serve as the chief instructor for the regiment. He returned to Iraq in February. "He knew this would be the most dangerous mission," said Cheney. 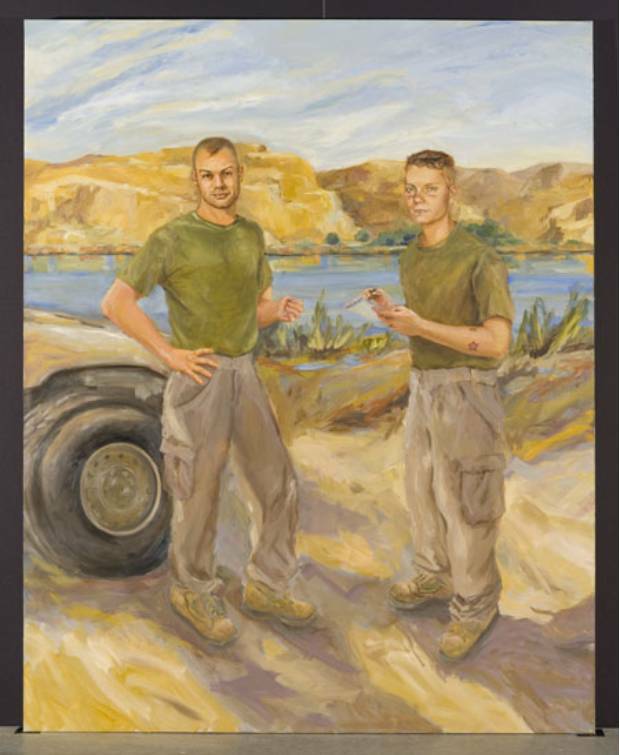 According to 2nd Lt. Barry Edwards, a spokesman for the 2nd Marine Division, Goodwin's unit "conducted patrols to prevent insurgents from developing strongholds in the remote cities of western Iraq." Goodwin received more than two dozen medals and commendations while in the Marine Corps, including two Combat Action ribbons, the Navy and Marine Corps Achievement medal, three Sea Service Deployment ribbons, and Kuwait Liberation medals for both Kuwait and Saudi Arabia from Operation Desert Storm in 1991.